A quick look at the new smart bat that Angels centerfielder Mike Trout will be using in practice to improve his swing. Tech Bit takes a quick look at new technology and gear—and the stories that go with them—in the sporting world. 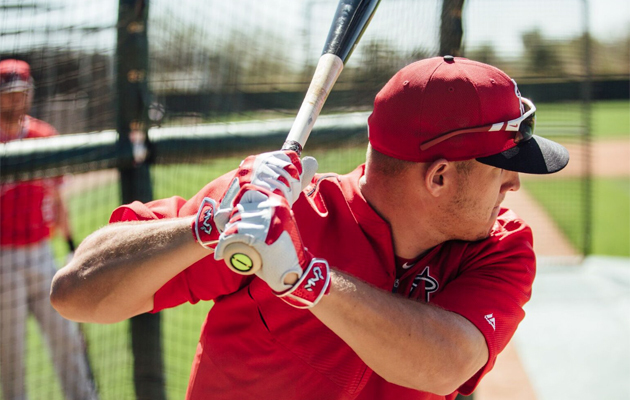 The Zepp technology captures swing data that Trout and coaches can analyze. Previously, the Zepp sensor mounted onto the bat as a separate device, but by placing the removable sensor in the 28-mm cavity in the knob of the 30.8-mm wood bat, the smart bat with a natural feel and no distractions. Trout debuted the bat during spring training in Phoenix, but Zepp expects the bat to be publicly available this June.